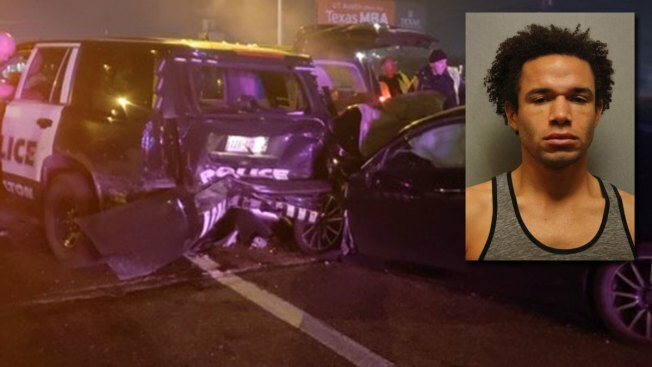 Two Carrollton police officers narrowly escaped tragedy Sunday when an alleged drunk driver slammed into their squad cars. According to police, officers were on the scene of a crash on northbound Interstate 35 near the East Crosby Road overpass when a driver going about 70 mph crashed into the squad cars around 4 a.m. No officers were injured. One of the police cruisers was totaled, the other was also damaged. Police have not yet pulled dash camera video from the squad cars. 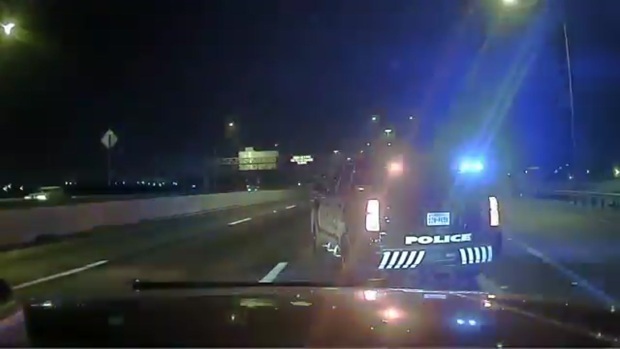 The Carrollton Police Department released dashcam video Monday from a Sunday crash in which an alleged drunk driver slammed into two squad cars. Wesley Aaron Tyree, 30, of Carrollton was treated, released, taken to jail and charged with driving while intoxicated, according to Carrollton police. Tyree listed his employer as Lakeview Centennial High School, according to police. Counting our blessings. Our officers were working a crash on NB I-35 this morning when A DWI suspect hit two of our cars at approximately 70 mph. The Dallas Morning News reported that Tyree is listed as the color guard director in the fine arts department on the Lakeview Centennial website. A Garland Independent School District spokesperson has not yet returned a request for comment.